There are very few foods that are more awesome and versatile than crepes. They can be a little tricky to flip, but other than that, are fairly straightforward. This week’s choice was the result of a couple random decisions. I had lots of eggs and milk, so I figured that I should those, hence the crepes. 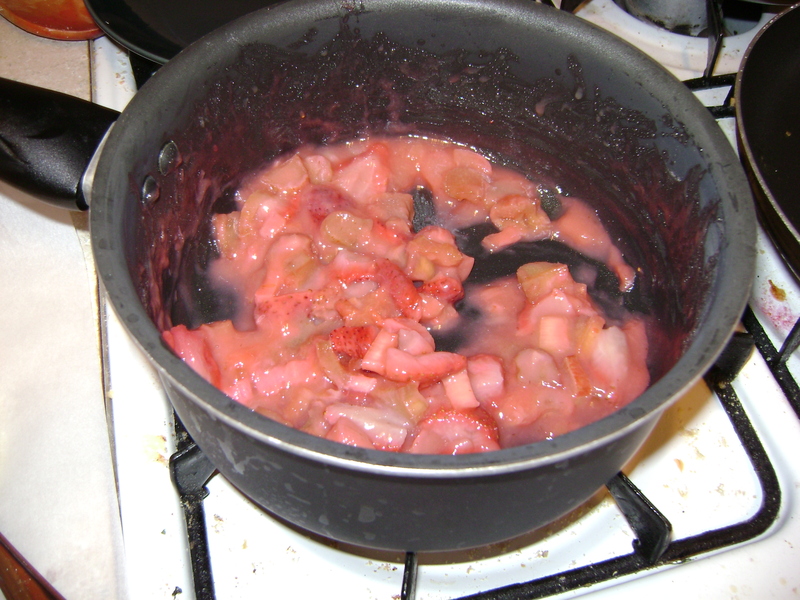 I also wanted to try cooking rhubarb. I’ve never really eaten rhubarb, and certainly never cooked it before. But my brother-in-law is a HUGE fan of rhubarb and I’m supposed to be trying new things so what the hell right? The original plan was to make these individual Strawberry-rhubarb pies. I made the filling (super easy, and trust me, the honey makes all the difference) and stuck it in the fridge to cool. 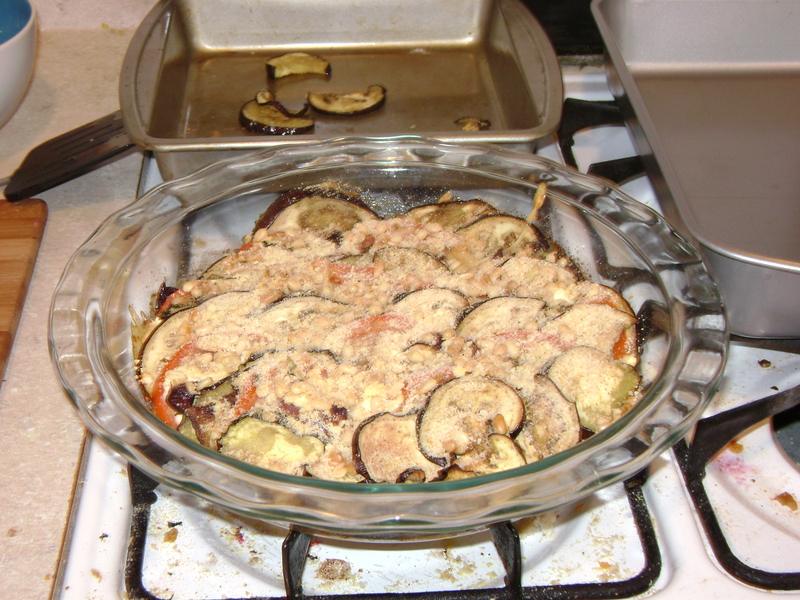 Then, a couple hours later, I still hadn’t made the crust for the pies, and I was trying to figure out what to make for dinner. I had some kale, but wanted to do something more interesting than just sauteing it and eating it as a side dish. But crepes and pie seemed like a weird combination, so my dad suggested that I make some sweet and some savory crepes, just like at a creperie. Best. idea. ever. So I made a giant pile of crepes, using this recipe. I tend to make my crepes a little thicker than they suggest, but I think they taste great that way. Then I made the savory filling. Chop and sautee some kale with onions and garlic. Add some shredded mozzarella and goat cheese. Put the filling into the center of the crepe, and fold over the edges like a burrito. Place those filled crepe in a baking pan and stick in the oven to bake for a while at 350. 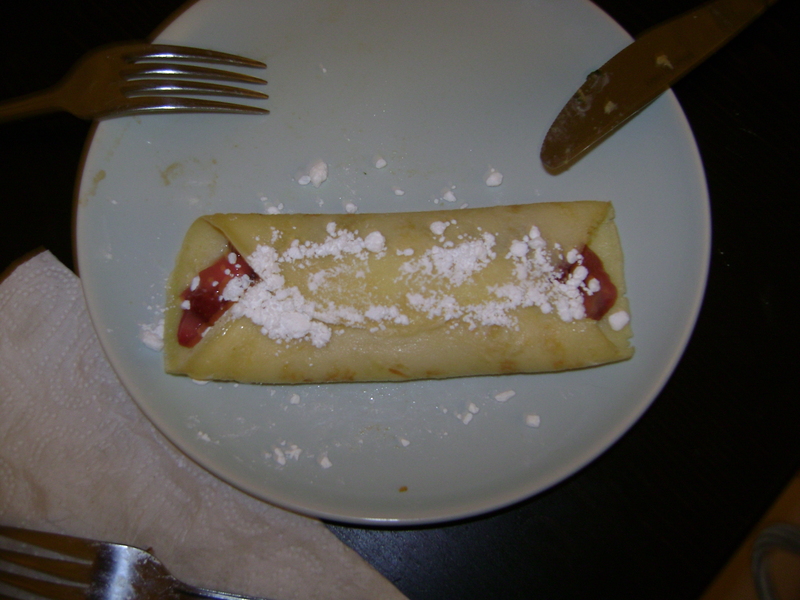 While those were cooking, I filled other crepes with the strawberry-rhubarb filling. I decided not to heat those up at all, but fill, sprinkle with powdered sugar, and serve cold. Both crepes tasted amazing. Such a great combination. 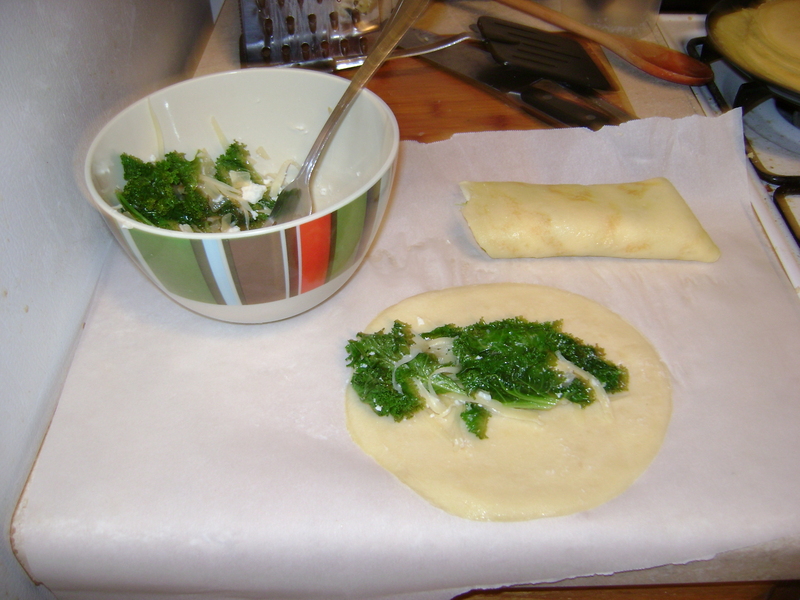 The kale crepes were delicious, and baking them so the cheeses get all melty is a very important step. The rhubarb crepe were also unbelievably good. I don’t really know how to describe it. They were sweet, but not in an overdone way, and the honey added a very mellow sweetness which was excellent. So my first rhubarb experiment is an unqualified success.